Follow the Delta 4 rocket’s ascent into orbit from Cape Canaveral’s Complex 37 launch pad with the U.S. Air Force’s WGS 8 communications satellite. 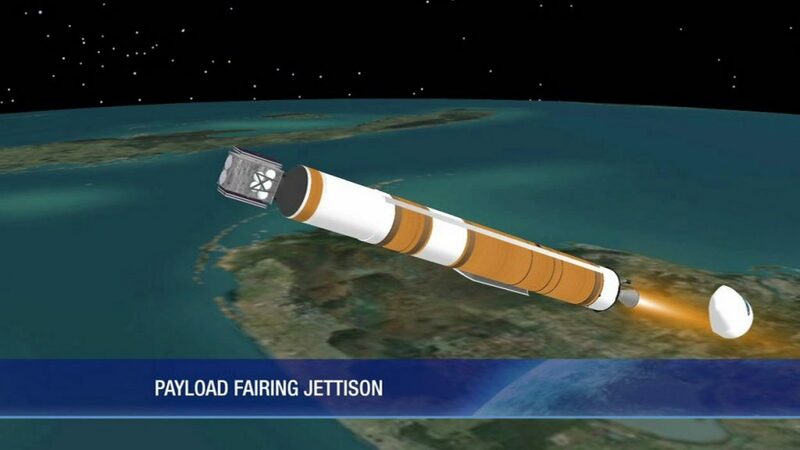 Liftoff is scheduled for Wednesday at 6:53 p.m. EST. 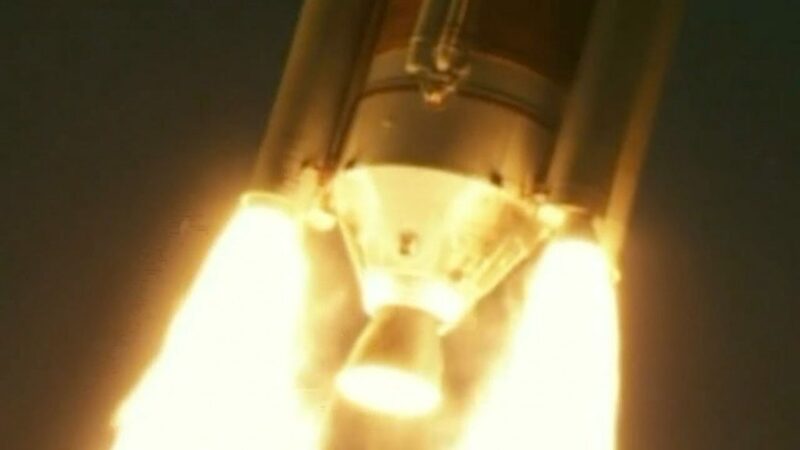 The RS-68A main engine begins to ignite as the liquid hydrogen fuel valve is opened, creating a large fireball at the base of the rocket. The engine powers up to full throttle for a computer-controlled checkout before liftoff. The rocket’s four strap-on solid rocket motors are lit, the four hold-down bolts are released and the Delta 4 lifts off from Cape Canaveral’s pad 37B. The pad’s three swing arms retract at T-0 seconds. The vehicle experiences the region of maximum dynamic pressure. 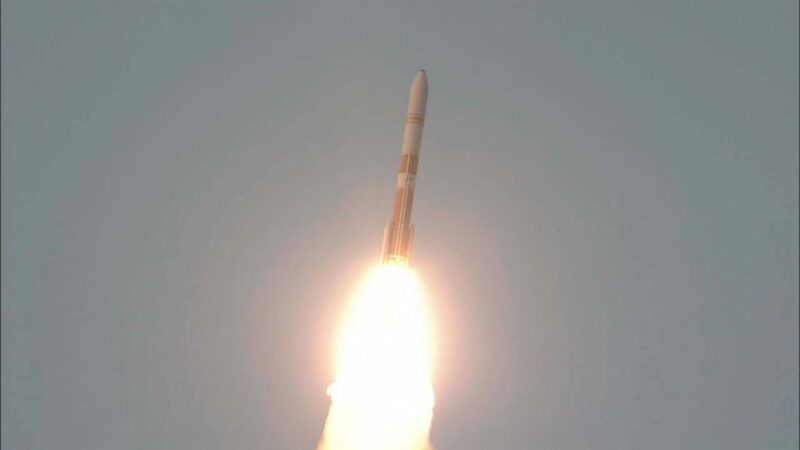 The solid motors and the RS-68A liquid hydrogen/liquid oxygen engine continue to fire as the vehicle heads downrange, arcing over the Atlantic along a 93.46-degree flight azimuth. 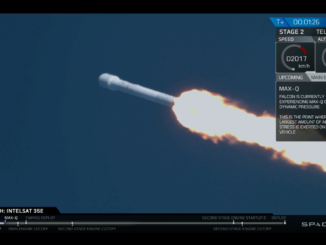 Having used up all their solid-propellant and experienced burnout eight seconds ago, the two strap-on boosters with fixed nozzles are jettisoned from the Delta’s first stage, followed two seconds later by the pair of boosters with steerable nozzles. 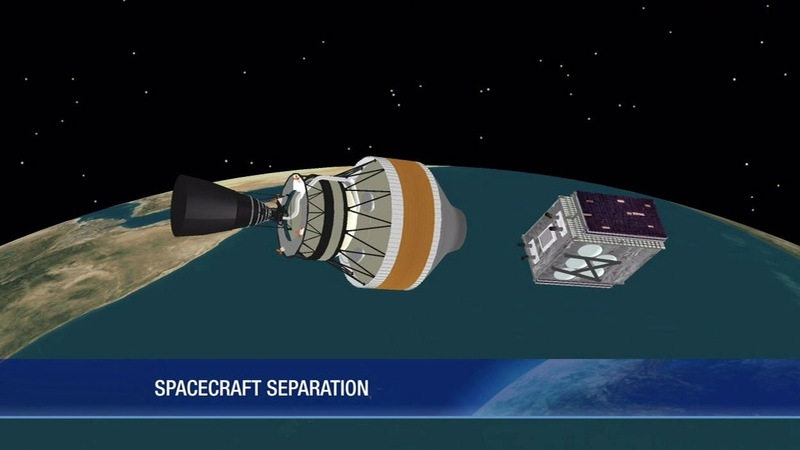 The five-meter diameter composite payload fairing that protected the WGS 8 cargo atop the Delta 4 during the atmospheric ascent is no longer needed, allowing it to be jettisoned in two halves. 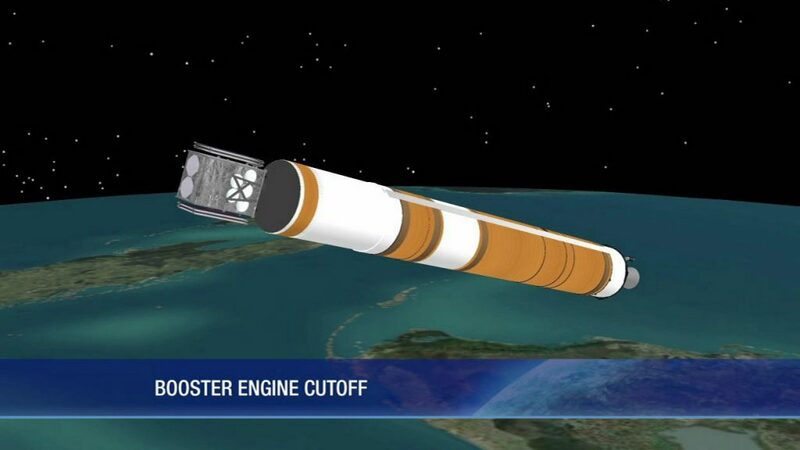 The hydrogen-fueled RS-68A rocket engine completes its burn and shuts down to complete the first stage of flight. 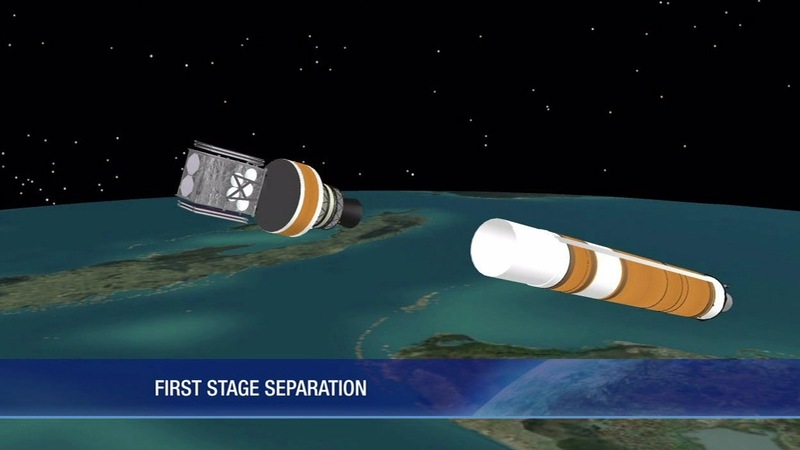 The Common Booster Core first stage and the attached interstage are separated in one piece from the Delta 4’s upper stage. 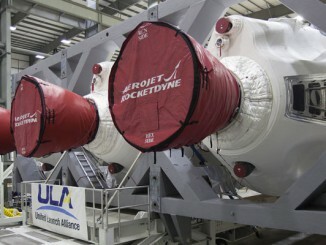 The upper stage engine’s extendible nozzle drops into position as the first stage separates. 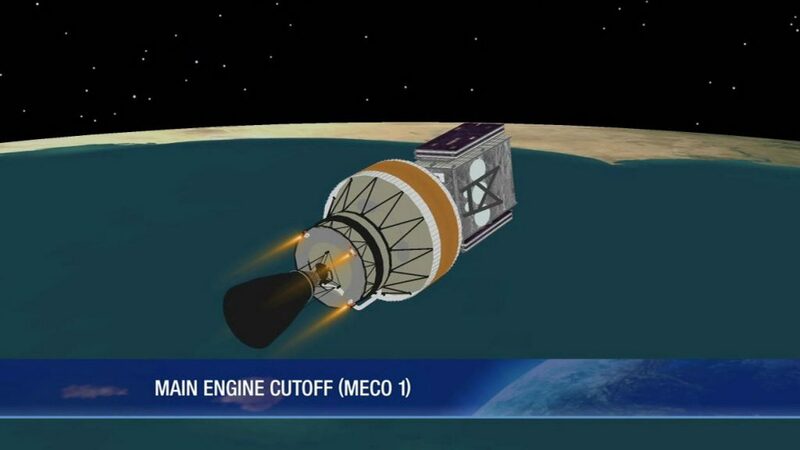 The upper stage begins its job to place the WGS 8 satellite into space with the first of two firings by the RL10B-2 liquid hydrogen/liquid oxygen engine. 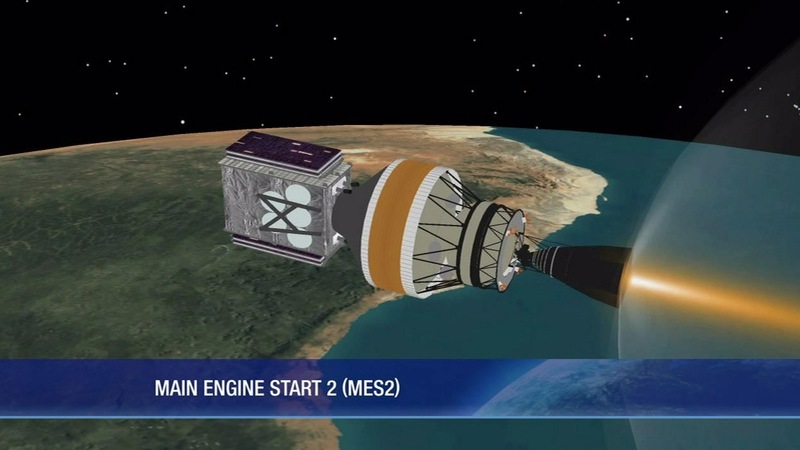 The RL10 upper stage engine shuts down to complete its first firing of the launch. 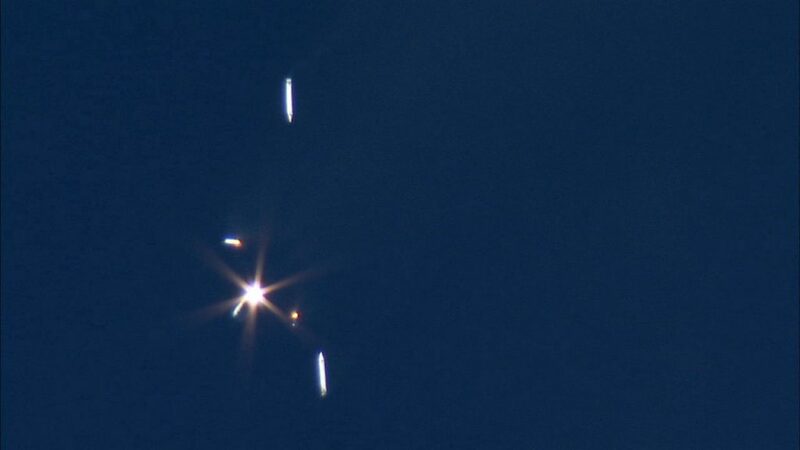 The rocket and attached satellite reach a parking orbit. 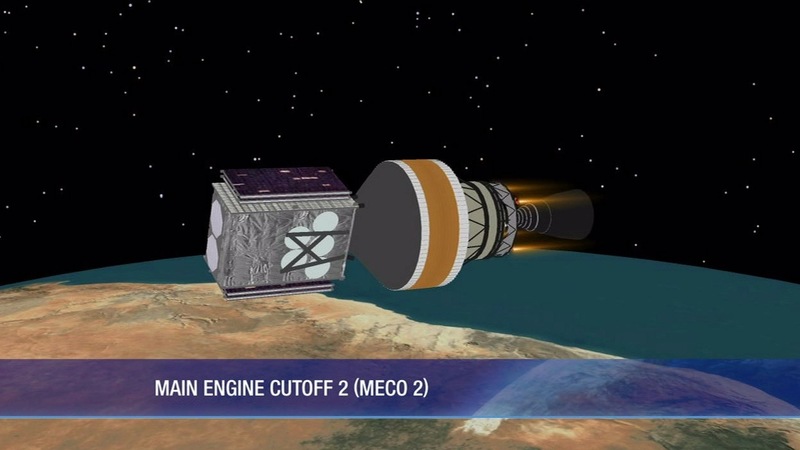 After a short coast period, the upper stage is reignited to raise the orbit to the planned altitude for deploying the payload. 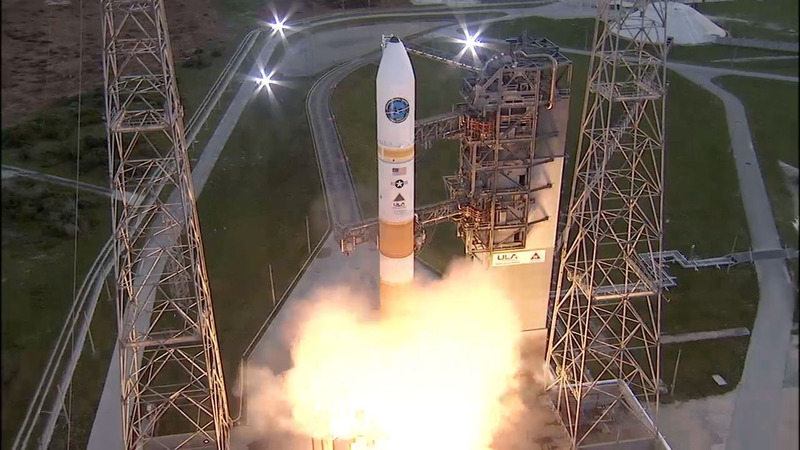 The powered phase of the Delta 4’s mission to loft WGS 8 concludes. The second burn will reach the planned super-synchronous orbit of 270 by 27,575 statute miles with an inclination of 27 degrees. 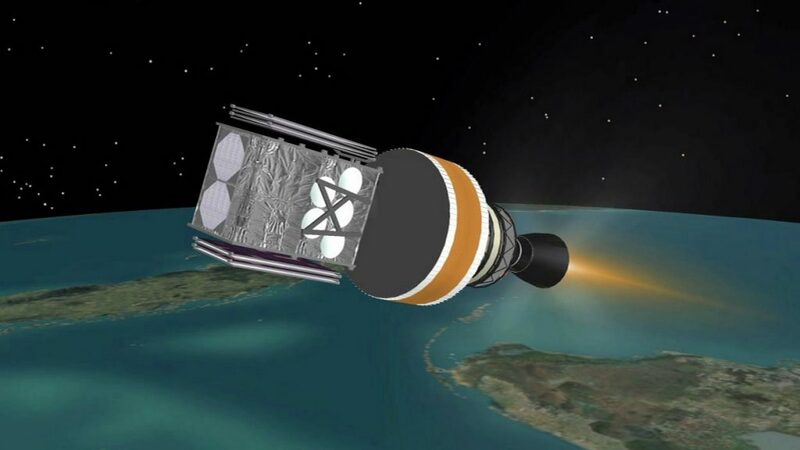 The Wideband Global SATCOM 8 military communications satellite is released into space from the Delta 4 rocket. 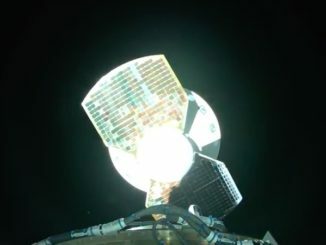 The Boeing-built satellite will use its onboard propulsion to reach geostationary orbit where it will match Earth’s rotation and appear fixed above the equator in the WGS constellation.